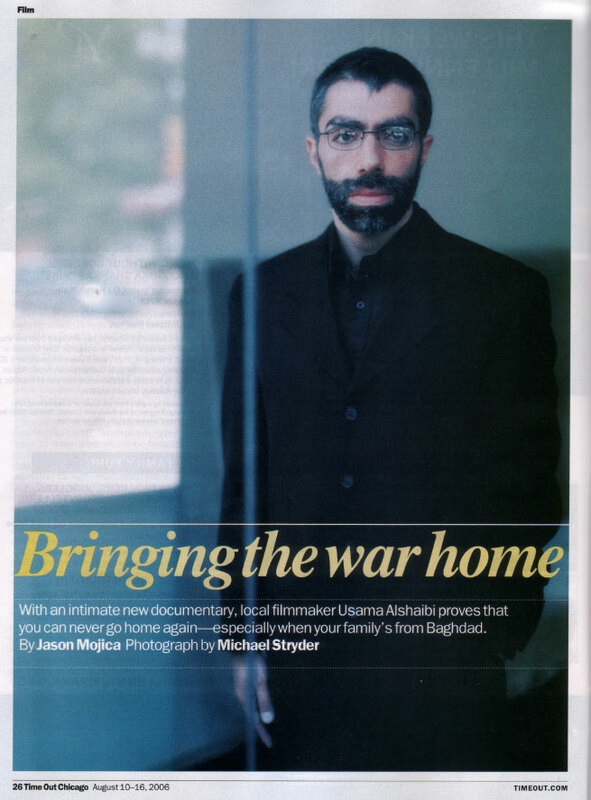 With an intimate new documentary, local filmmaker Usama Alshaibi proves that you can never go home again—especially when your family’s from Baghdad. This act of generosity set the wheels in motion for what has become Nice Bombs: My Journey Back to Iraq, a feature-length documentary that makes its world premiere August 17 at the Chicago Underground Film Fest at the Music Box. Nowadays, documentaries are increasingly taking on the trappings of political stump speeches—witness Michael Moore’s canon, or Al Gore’s recent An Inconvenient Truth. But Nice Bombs comes off more like a good book: Each chapter reveals a new layer of Alshaibi’s complicated relationship with his family—and with the war in Iraq. We are introduced to Alshaibi’s father, Hameed, who has been living in exile for some 24 years. We see Alshaibi’s mother, who has lived in the U.S. for years and vows never to forgive her son for returning to a war-riddled Iraq. And we see a Baghdad beyond the headlines: full of urbane folks sorting out the paradox of finally being free of Saddam but having to endure the humiliation of being occupied by the U.S. But first, we meet the filmmaker himself. He and Kristie put out a call for help on their LiveJournals and on MySpace, organized an installment of their experimental (and now-defunct) Z Film Fest, and called everyone they knew with money. Benzfilm Group, comprised of Chicago filmmakers Ben Berkowitz and Ben Redgrave, got involved as the film’s producers. The couple raised $5,000 in two weeks, and eventually found themselves in Amsterdam’s Schiphol International Airport, on their way to meet Alshaibi’s father in Jordan, and from there on to Iraq. 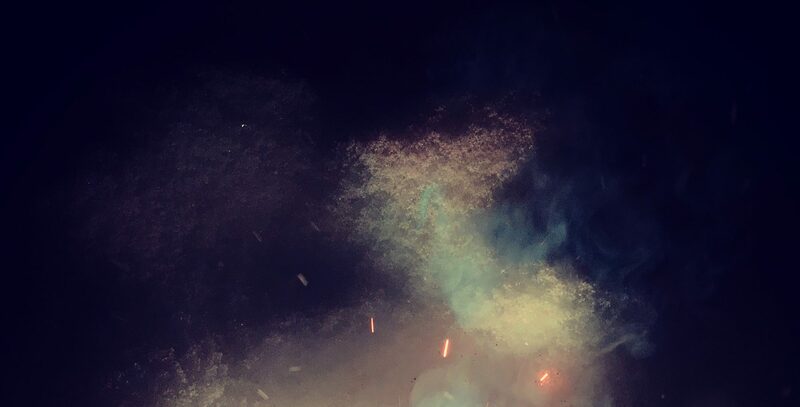 Kristie fixed her camera on her haggard-looking husband, who was wondering if they were making a big mistake: “I keep thinking about death…all of us dying in one giant explosion,” he says. A few weeks later the couple returned with 47 hours of footage that captured a moment in Iraq that, looking back, seems relatively peaceful and somewhat optimistic. Between the time of their trip in January and February in 2004 and the time they sat down to edit Nice Bombs in early 2005, things in Iraq had gotten, well…worse. Nearly 200 people were killed in a bomb blast in Aashurah, four military contractors were killed and their bodies mutilated in Fallujah, radical cleric Muqtada al-Sadr experienced a meteoric rise to popularity, and the Abu Ghraib scandal put U.S. efforts under a microscope. In light of these changes, Alshaibi began to work conversations with his cousin Tareef into the film. Tareef served as the Alshaibis’ guide during their time in Baghdad, and he was a cynic even then. By the time Alshaibi finished editing the film, Tareef was suggesting that the only thing that could save Iraq is another dictator. After thousands of hours toiling away on the film—watching a beat-up but forward-looking Iraq on their computer screen while seeing an Iraq descending into chaos live on their TV—Alshaibi is finally finished with Nice Bombs. It is a nuanced portrait of a family, of two countries and of resilience. It pulls off the rare feat of being “important” without forcing a political agenda down the audience’s throat.